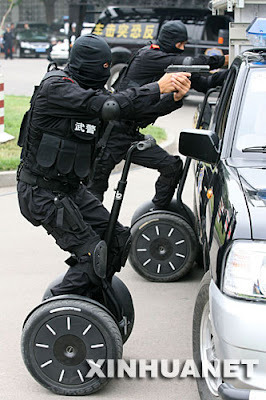 I ran across these photos today on the net, the Chinese Police SWAT team on segway scooters. I wouldn't want to be pulled over by them ! I;ve stumbled across your blog and enjoy your content. I'll be back for more! 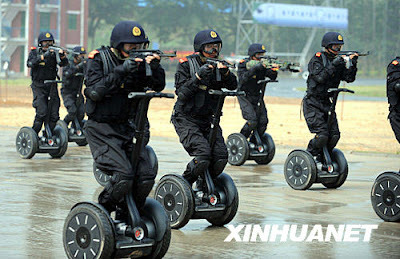 this is quite cool..i wonder how will they maneuver around.